The first CD release under the joint venture of Craig, French producer Nicolas Barhtolomée and Harmonia Mundi France is now available in France. 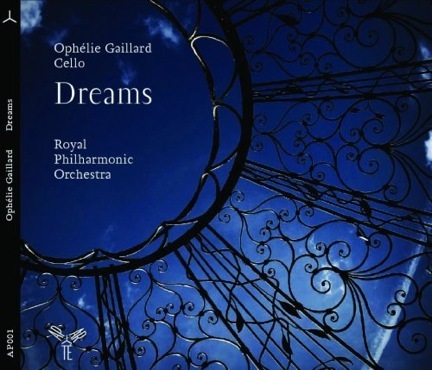 The recording, entitled”Dreams” features French cellist Ophélie Gaillard and the Royal Philharmonic Orchestra conducted by Timothy Redmond performing arrangements for cello and orchestra by Craig , who also produced and mixed the album. Follow this link to a review and to purchase “Dreams” in the U.S.
French television interview with Ophélie Gaillard about “Dreams”.